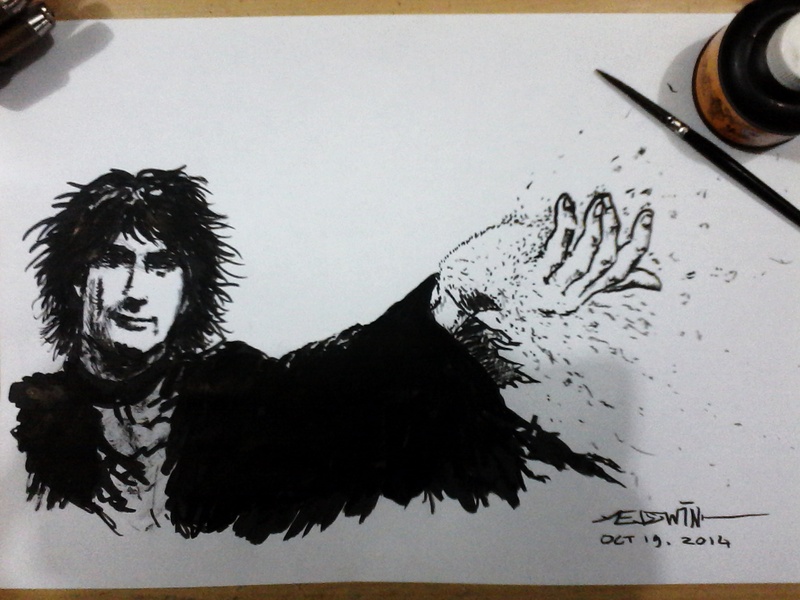 I hope that drawing makes my point: no one can be the perfect Sandman but the master of dreams himself. ~ by edwinlives4ever on October 19, 2014. Totally agree. He starts to resemble dream more and more as his hair gets crazier over the years. Exactly. I got the feeling that this is a character so vivid it’s actually becoming real. Pas tadi kelihat gambarnya yang pertama muncul di pikiranku : it was you? baru mau bilang kaya dyah deh.. ini masedwin lagi selfie ngegambarin ya.. I think it is Gaiman’s most brilliant work. His novels don’t come close.